This course will draw on a range of examples from contemporary poetry that could assist us to develop our own writing, as well as consider various ways in which we might respond to political circumstance, both with reference to the wider world and with issues that affect us directly. As we address the ongoing challenges of continuing to develop our personal poetics there will also be opportunities to think about the processes involved in assembling poetic sequences and gathering poems into a full-length collection. 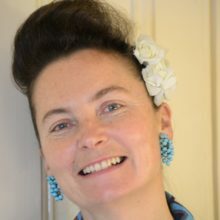 Deryn Rees-Jones is a poet, editor and critic. Her selected poems, What It's Like To Be Alive, was published by Seren in 2016 and was a Poetry Book Society Special Commendation. 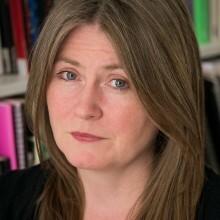 Recent books include Burying the WrenDeryn is one of the co-editors of Women: A Cultural Review, and editor of the new poetry series Pavilion Poetry (Liverpool University Press). She is currently in receipt of a major research fellowship from the Leverhulme Trust to continue her critical writing on the artist Paula Rego. Katrina Naomi’s poetry has appeared in The TLS, Poetry London and The Poetry Review, as well as on Front Row and Poetry Please (BBC Radio 4). She received an Arts Council/British Council award in 2017 to travel and write in Japan. Her latest collection, The Way the Crocodile Taught Me (Seren, 2016), was chosen by Foyles’ Bookshop as one of its #FoylesFive for poetry. A new collection is due in 2020, published by Seren. Katrina was the first writer-in-residence at the Brontë Parsonage Museum, and has since completed residencies at the Arnolfini, the Leach Pottery and Gladstone’s Library. She has received commissions from Imperial College and Turner Contemporary, and a 2018 BBC commission to write a poem for National Poetry Day. Katrina holds a PhD in creative writing from Goldsmiths, University of London. Mona Arshi worked as a human rights lawyer for a decade before she started writing poetry. Her debut collection, Small Hands (Pavilion Poetry, Liverpool University Press, 2015), won the Forward Prize for best first collection in 2015. 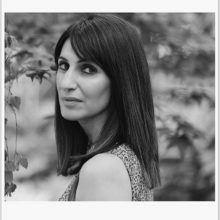 Her second collection, Dear Big Gods, will be published by Pavilion Poetry in spring 2019.